The phrase “been there, done that” is so cliché. But I can’t think of a better way to sum up the extensive array of interesting and valuable experiences I’ve had during my 20+ years working as a full-time voice talent. It’s rare that I encounter a situation or challenge that I haven’t been through before. Whatever the problem, at this point in my career I can figure out how to solve it so that my client gets what they need to complete their project. Such valuable experience turns a VO professional into a very valuable resource. Experienced full-time voice talent can quickly and accurately answer any questions clients may have. And if we don’t have an immediate answer, we have connections at our fingertips that let us quickly research to find the best answer. The same holds true for referrals. Those who have worked long and hard in their field typically have many important relationships established. Clients often come to me and ask, “Hey, do you know anybody who does XYZ?” Most of the time I can say yes, referring them to the best production service, editor, translator, etc. They may ask for a child voice-over talent, a male voice or someone experienced in a foreign language, and I can easily draw a reference for them. I love knowing that my clients trust me to recommend someone. And, knowing that the connections I have established over the years allow me to send them to someone who will get the job done right. Of course, I make a point to only refer other professionals who I know will deliver the goods and make my client happy. A seasoned full-time voice talent is also likely to have developed expertise in a specific niche. I’ve found an unexpected home in areas of specialty that include infomericals, direct response, corporate narration, phone messages and similar projects. Being so acutely aware of what’s needed for each type of project has helped me develop a unique voice for each client. I understand what’s necessary, and can tailor my voice accordingly to their target audience, which increases the probability of reaching the client’s goal. A prime example is the VO work I’ve done for Pillow Pets; the No. 1 children’s direct response product. I’ve been with this project from the very beginning when it first launched, and it’s led me into a world of other children’s products sold on TV. Other infomercial work has involved kitchen gadgets, exercise devices, as well as health and beauty items. I’ve enjoyed recording for a very loyal contingent of phone marketing clients, who rely on my voice branding for retail stores and financial institutions. My niche in this genre has become a particularly friendly, non-threatening, real, and believable voice, that can elicit a positive response from a shopper or caller. Those voices are not all identical. 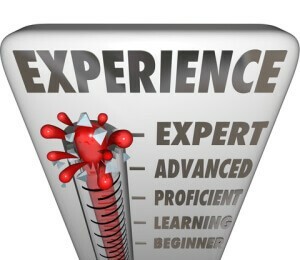 Experience has taught me there are a myriad of ways to get the desired response. Different vocal styles work for different audiences, and seasoned pros come to know what works. The voice may work so well that it actually becomes part of a company’s branding identity. Consumers come to connect my voice with that company, making it imperative for clients to seek out a full-time voice talent they know will be there for the long-term, indefinite future. I have some clients for whom I’ve been the “branding voice” for over ten years now. Savvy business owners and managers know that their customers will often judge their company by the voice they hear in their marketing messages. Choosing a consistent, professional VO talent not only lends an air of professional quality and raises your company’s value, it also allows you to build your structure and campaign around that consistency of a recognizable voice. Value is always the bottom line. The skills and business sense that a full-time voice talent develops over many years of working are all very beneficial in saving clients time and money. That is my most sacred goal; to deliver the best possible performance and customer service to my client — and, stay within the budget. That kind of mindset typically comes from a VO talent who’s been in the game for many years, and continues to thrive on a full-time basis. If you haven’t read Part 1 of this four-part series, be sure to check it out too at: Benefits of Hiring a Full-Time Voice Talent. Debbie Grattan has been working as a full-time voice talent since the late 90′s. She has collaborated on thousands of projects and teamed up with hundreds of production companies, marketing and advertising firms, commercial voice-over recording studios and corporate/business clients around the United States and throughout the world. Listen to her Voice Talent Demos and request a Custom VO Audition for your upcoming project on her website.